Farnborough was the UK’s first airfield in aviation history and home to the country’s first powered flight in 1908. From the earliest days, Farnborough has been a centre of military and civil aviation research. Many innovations from the Royal Aircraft Establishment at Farnborough have left their mark on aviation worldwide. Owned by the British Ministry of Defence (MOD) during two World Wars and 40 years of the Cold War, Farnborough saw its first civil aviation operations in 1989. The MOD declared the airfield surplus to military requirements in 1991; the government then decided the airfield should be redeveloped as a business aviation centre in 1994. Following a competitive process led by the government, TAG Aviation won the bid and took over in 1997. Planning then took place until 1999. After much redevelopment, TAG Farnborough Airport Limited took full control under a 99 year lease in 2003 as a fully compliant CAA airport for business aviation. TAG bought the airfield freehold at the end of 2007. The Farnborough International Airshow continues to be held every two years. The history of Farnborough Airport continues to inspire its future. 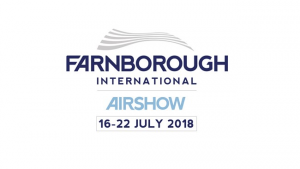 Since it’s opening to the public in 1948, the Farnborough International Airshow has become one of the world’s foremost aviation events. With origins in exhibitions by the Royal Air Force and Society of British Aircraft Companies, the Airshow takes place every two years.